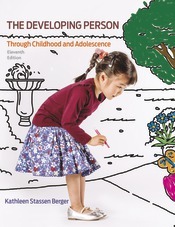 In addition to Kathleen Berger’s exhaustive updating of the research, this edition is notable for its thorough integration of assessment throughout (learning objectives, assessments after each section, expanded end-of-chapter quizzes) all aligned with national standards. The new edition is also more than ever an integrated text/media package, moving students from the printed page to online tools that help them develop observation and critical thinking skills. Those online components are all a part of the book’s dedicated version of LaunchPad, Worth Publishers’ breakthrough online course space in which power and simplicity go hand in hand.